Flaunt your style and cool look looking hot in summer. Are you looking forward to cool summer? 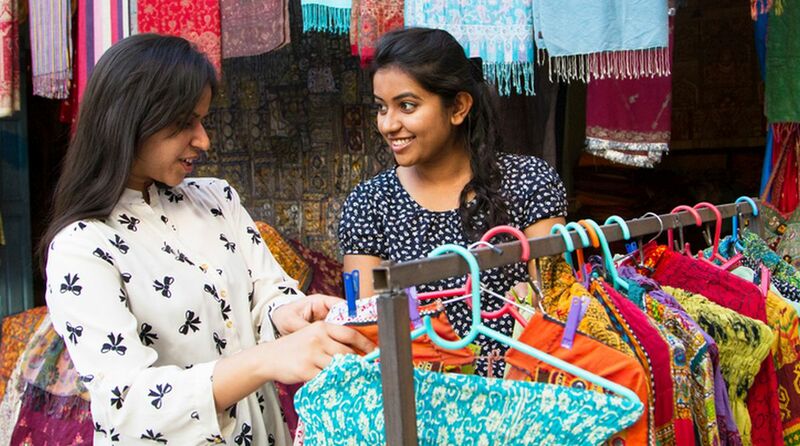 With a wide selection of cotton and linen kurtis, live a cool, stress-free summer. Perfect for hot days out, this summer dress can make you enjoy the sun with an ease. Summer can never be challenging anymore to dress up in style for women who love to dress up in Indo-Western style. A massive range of designs, colours and patterns may create a new look every day. They give you quite a good chance to reveal more about yourself and your body in this season. If you opt to wear it, make it as interesting as possible. Choose the ones which have interesting design details and are airy too. Rest you need a good basic bottom like some trousers, jeans, churidaar or Patiala salwar. Trendy pieces give you a full-proof chance to look really cool with a modern polished aura yet ethnic. Spaghetti straps or off-the-shoulders concept makes the dress very cool. You can opt for backless that is going to make you look hot in warm climate. 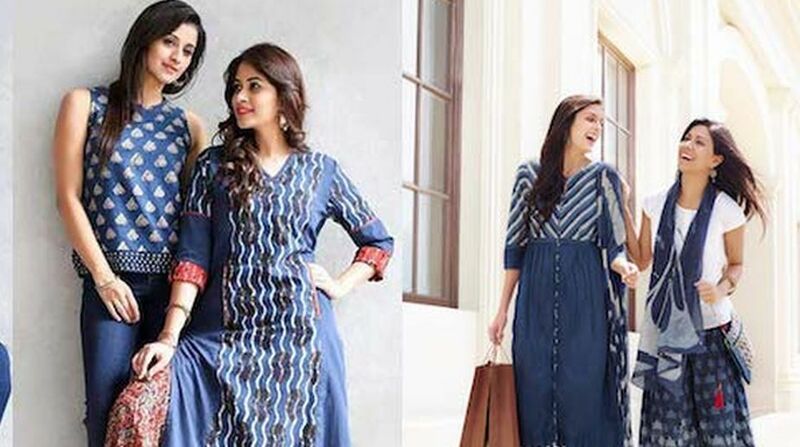 Embroidered, lace border, chikan work, colourful prints, chic patterns, latest fashionable styles can turn out to be a very popular day dress for casual get-togethers. They are most preferred by college girls as well. This is the perfect traditional shift dress that looks both professional and conservative and that can be easily combined with trendy accessories. A dress that is a bit more special than your day and work dress. Together with good quality cotton, it is a true winner in your closet. It does not require too much care – worth investing in them that will make you feel wonderful. In summer you love to look smarter with the types of clothes you pick when you want to cover up certain parts and flaunt other few. 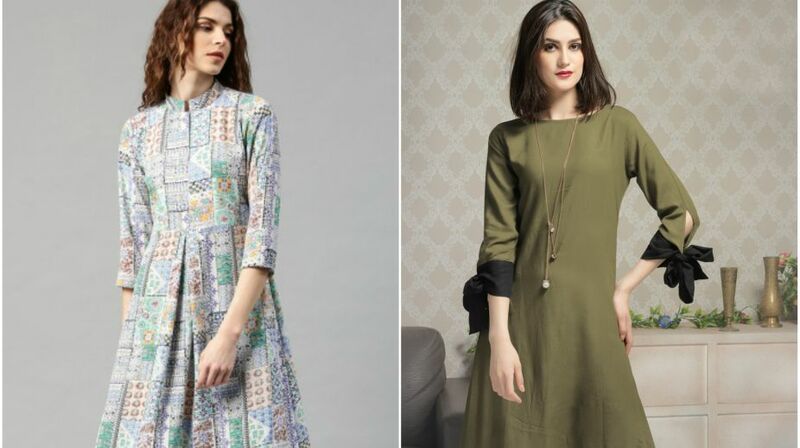 Thanks to the rising trend of super cool kurtis. It is crucial to dress for your body type. Be it pear, apple, inverted, triangle, hourglass or rectangular, cotton kurtis drape in all the right areas to cover up any flaws. Use fun foot wears to make them more fascinating. You may add interest with a brightly coloured scarf, add colour with a bag and use a statement necklace for that wow factor. Yup! This outfit is your best friend in soaring temperatures. It is the most versatile dress to ignite your summer-cool panache. Fab India, Global Desi, Biba and many more big brands have best collection of stylish and comfortable kurtis. Explore and choose the best pieces for you….